We’ve already heard that The Wolverine, starring Hugh Jackman, would be set in Japan and feature more of Logan’s backstory. This new footage seems to place the movie during World War 2 Japan however, which is curious to me considering the timeline of all the various X-Men movies over the years. Since Fox seems intent on all of them being in continuity, wouldn’t that mean this movie is set BEFORE Wolverine getting his Adamantium, and therefore BEFORE his last solo film X-Men Origins: Wolverine? Cause the end of Origins featured a grown up, Patrick Stewart Xavier saving a bunch of students, but X-Men: First Class showed a 20-something Xavier meeting Logan in the 60’s. I wish I had Wolvie’s healing factor, cause this makes my head hurt. 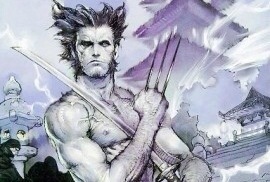 In the Marvel comics, Logan was a soldier in World War II when he was caught on a sabotage mission in Japan in 1945. He was incarcerated at a prison camp in Nagasaki along with fellow soldier and mutant Lt. Ethan Warren. The pair escaped, finding refuge with a local girl, Atsuko, and her family. Warren eventually went bad, killing Atsuko, before he and Wolverine were caught in the atomic bombing of Nagasaki. Thanks to his mutant recuperative powers, Logan survived the blast. Are you pumped to see more Wolverine, or do you think its time he retires to the Mutant Old Folks home? Joss Whedon Returns to Write/Direct AVENGERS 2! Plus Oversee a Marvel TV Series!